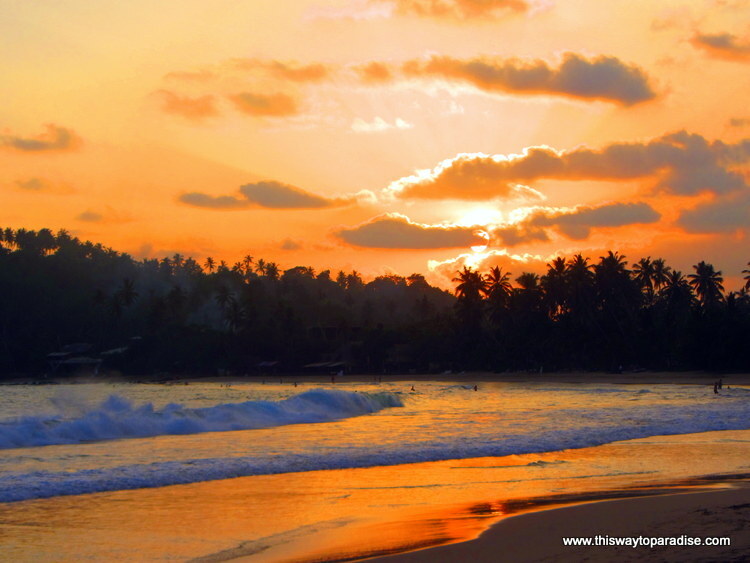 The Mirissa Beach area of Sri Lanka is a world away from Colombo. While, it’s still not the best beach that I’ve ever been to, it is one of the nicer spots in Sri Lanka. It is a great place to go whale watching and see the enormous blue whales from during whale watching season from November to April. I went on a tour offered by Raja and the Whales and really enjoyed it. They had a deep respect for the whales and didn’t get too close and also gave us breakfast on real china! It was a delightful experience. As far as a place to stay, I would recommend arriving and then looking at the small places on the beachfront. Many of these don’t offer a way to make a reservation, but many of these hotels offer the best value for your stay. The Coral Beach Guesthouse really caught my attention as did another place at the far end of the beach where there was a reggae bar. Definitely, have dinner on the beach. All of the restaurants grill fresh fish on the beach just after the sunsets. It really is delicious. If you are coming here from Colombo, you can take the train. You will need to take the train to Weligama which is just past Mirissa Beach and then take a tuk tuk back to Mirissa. You can also take the bus, but I really think taking the train is much more fun and relaxing. Definitely, take a few rupees to buy some of the snacks the vendors sell on the train. Your journey will take about three hours. 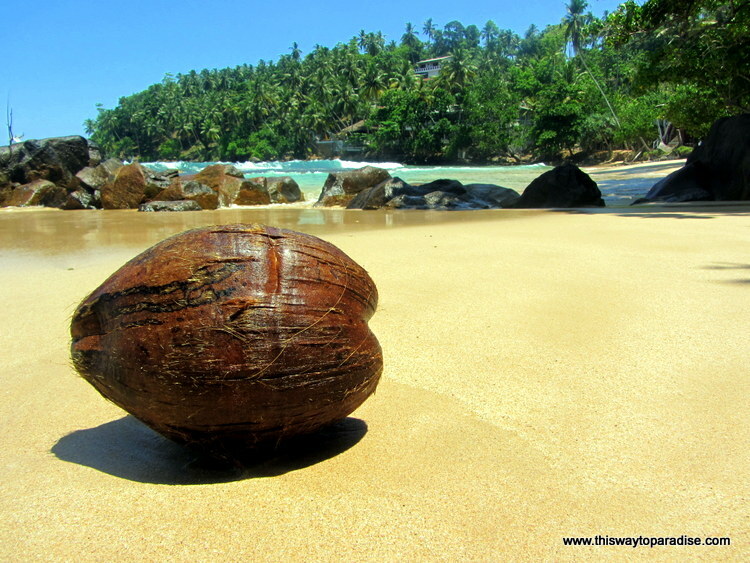 Mirissa Beach is a great stop if you are journeying to Yala Park. It will give you some sun and some relaxation for a few days before your safari. You may also like my Guide to Colombo.